The Miss and Mister Tropical Beauties Suriname 2018 Pageant took place recently. 21 year old Sri-Dewi Martomamat was crowned Miss Tropical Beauties Suriname 2018. The 1.7m beauty will represent her country at the 11th edition of Miss Supranational in 2019. Gabriella Bakker and Anjiastasia Mitro were the runners-up. 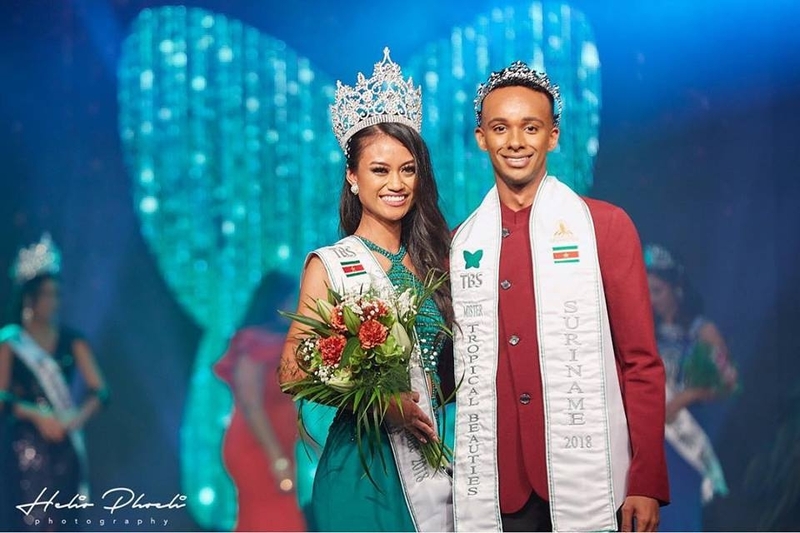 At the same event, Angelo Wijngaarde was named Mr Tropical Beauties Suriname 2018. He is 24 years old, stands 1.8m tall and will compete for the 3rd Mister Supranational title on December 8th in Poland. GB Opinion: The Miss has some potential for sure! Photos courtesy of Tropical Beauties Suriname!